This Safavieh Courtyard area rug infuses contemporary style into any room in your home. Decorate the right way with this indoor/outdoor piece constructed from plush synthetic material. Make a lasting style statement with this machine-made rug. Upgrade the dicor of your modern home with this geometric patterned grey rug. Courtyard Oscar Anthracite / Beige 8 ft. x 11 ft. Indoor/Outdoor Area Rug This Safavieh Courtyard area rug infuses contemporary style into any room in your home. Decorate the right way with this indoor/outdoor piece constructed from plush synthetic material. Make a lasting style statement with this machine-made rug. 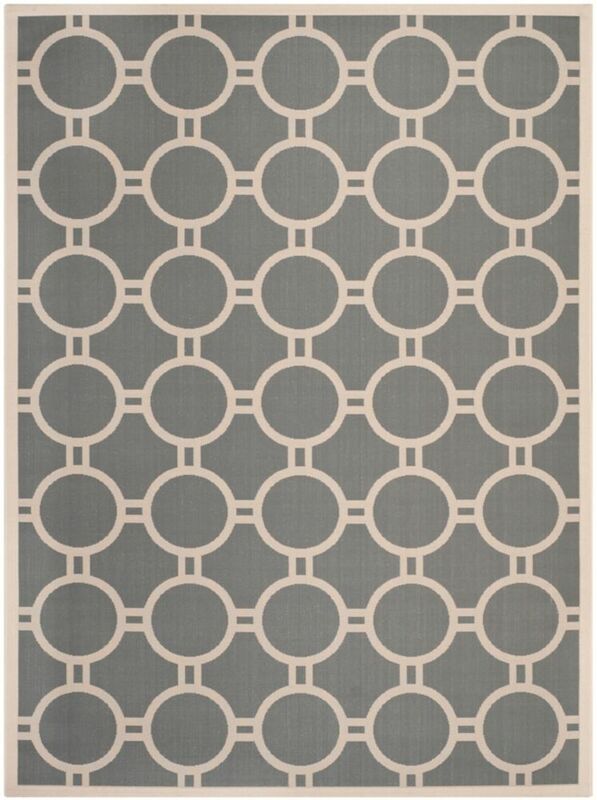 Upgrade the dicor of your modern home with this geometric patterned grey rug.